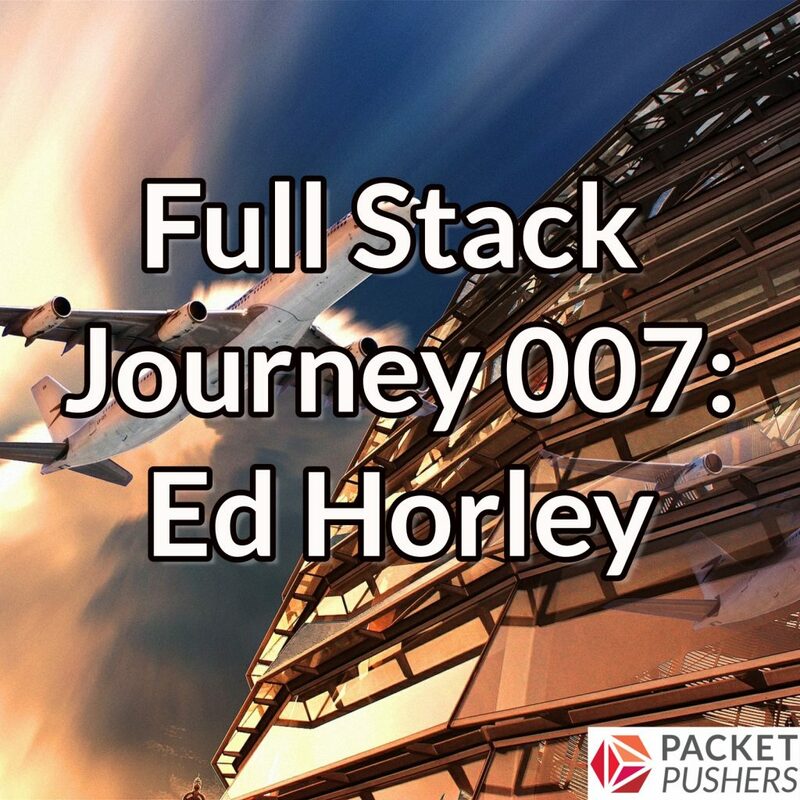 Episode #7 is the first in a series of episodes focusing more on specific areas within a broader journey to being a full stack engineer. The guest for this episode is Ed Horley (@ehorley on Twitter), who leads the cloud practice team for a VAR in the Silicon Valley/Bay area of California. Ed may better be known as the “crazy IPv6 dude” but today he’s on the podcast talking about business awareness and managerial aspects, and what that means for someone’s full stack journey. Ed has his own blog, and also blogs about IPv6 at the InfoBlox community site. There are some audio quality issues at around 41-42 minutes of the podcast recording that I couldn’t, unfortunately, edit out. I’m sorry about that, but I hope you enjoy the episode nevertheless. Ask questions like “Where do we want to go?” or “Why do we want to go there?” Ask about technologies that are emerging, why they’re emerging, and what it means for the industry and for your business. Thinking strategically not only benefits the business but also benefits you personally—it helps you understand where the industry may be headed or how it may affect your business. It’s important to understand what your business does and how it fits into the overall industry. You can’t be aligned with the business if you don’t know anything about the business, what it’s trying to do, or the challenges it’s facing. Need to regularly step back and re-assess the alignment with the business. It’s difficult for an individual contributor, but it’s still really important. How does one better understand his or her business? Talk to your company’s sales and marketing teams—they have a deep understanding of why customers are choosing your company’s products or solutions over those of a competitor. Meet and greet colleagues in your organization in other business units when opportunities arise. Ask other business units about their strategic goals. You don’t get promoted if you don’t get recognized, either by your peers or your management. Talk to your management! Moving into a management role means sacrificing some technical skills for managerial, career development, and leadership/teamwork skills. Face-to-face communications is really important for a manager. Looking back, Ed would have spent more time (2x to 3x) more time face-to-face with his team, building empathy and compassion, when he first transitioned from individual contributor to manager. Blameless port-mortems can be really helpful and important in building effective teams—not only from an individual contributor perspective, but also from a management perspective as well.